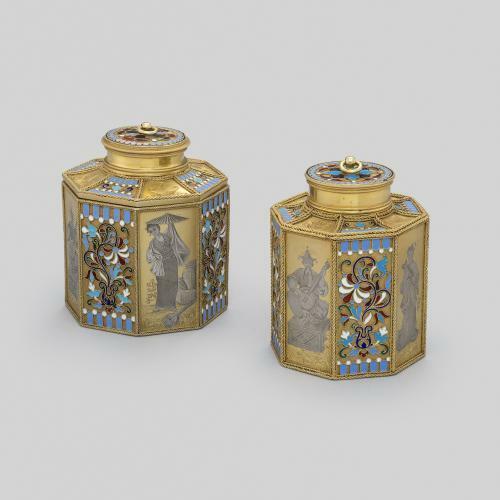 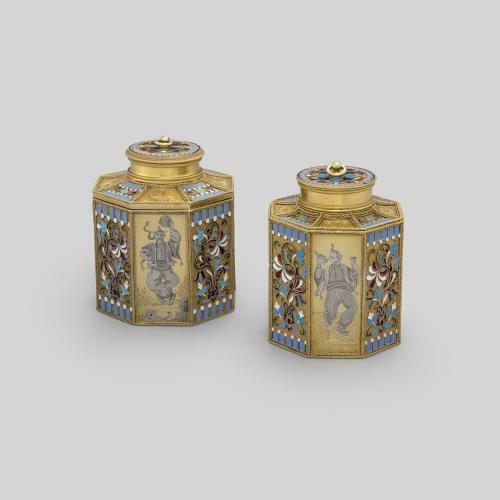 This tea caddy and sugar box were both made by Ivan Khlebnikov, a silversmith and jeweller who established his firm in Russia in 1867. 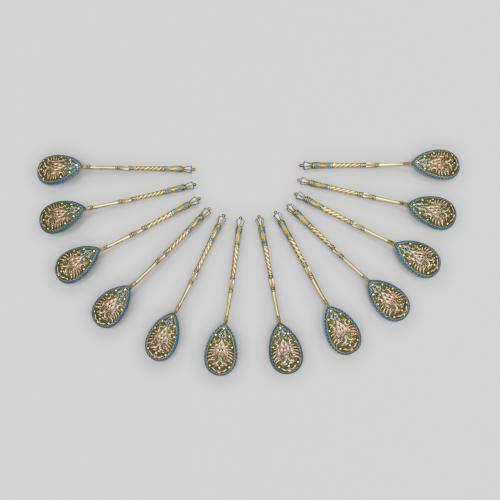 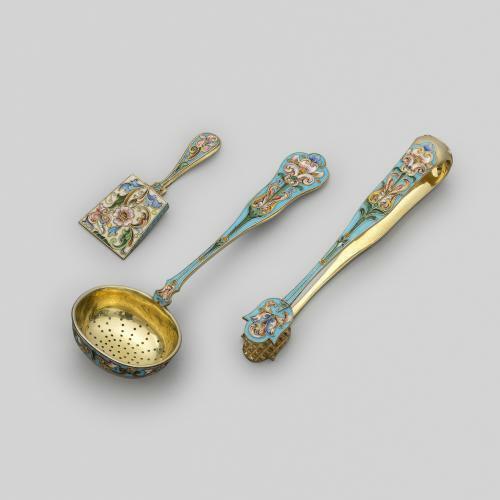 The company was very successful and specialised in the production of plique-à-jour and cloisonné enamel wares. 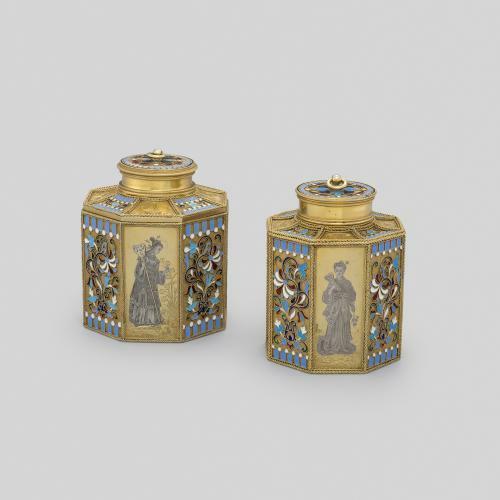 The caddy and sugar box are applied with raised rope work with alternating panels of cloisonné enamel and silver-gilt finely engraved with four chinoiserie figures, demonstrating the continued fashion for chinoiserie motifs in Russia towards the end of the 19th century.